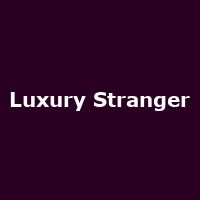 Luxury Stranger draw on the darkness of Post-Punk and Cold Wave, the theatre of 70s Glam (Bowie/Eno/Reed/Pop), the commerciality of 80s new wave and the rough edge power of 90s Grunge. They are a cross-genre kind of band - creating music that can be appreciated by most music lovers and not easily put into a box. They are considered Jekyl and Hyde - a methodical architect in the studio and a passionate powerful monster on the stage.